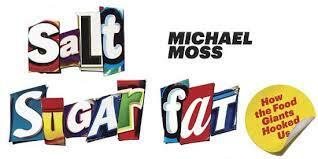 I have been reading a great new book recently entitled “Salt, Sugar, Fat: How The Food Giants Hooked Us” by Michael Moss. As you can imagine, this book is right up my alley. I have learned quite a bit. Even after all the reading I have done on the topic, I was still blown away by the myriad ways these companies manipulate us to become dependent on their products. Moss takes us on an inside journey into the way the food industry develops and markets its products in a way that maximizes our dependence on them. 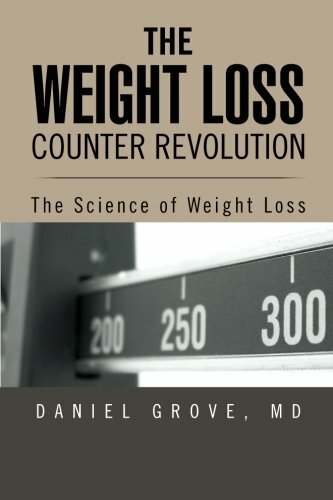 Since the information he brings is so important in understanding one of the reasons why people gain weight, I thought I’d give you a few tidbits from the book. You should definitely check the book out for yourself. Anyone who buys anything at a supermarket could benefit from the information he presents. One of the things I found interesting was the way that there are teams of scientists working daily to alter to food so it reaches what they call the “bliss point”. This is the precise concentrations of ingredients that maximizes stimulation of the happiness centers in our brain and gets us to buy and eat more and more. It turns out that we are hardwired to crave and become addicted to foods containing sugar, fat and salt (see my prior posts On Crack and Ice Cream Part 1 and Part 2 for an explanation of why this is). The food giants are squeezing more and more sugar, fat, and salt into every type of food we eat, even foods we don’t normally associate with these ingredients. This has created a situation where, without our noticing, the size, calorie content, and potency of sugar, fat, and salt have increased exponentially (see my prior post Take The Portion Size Quiz to learn more about the changes in food sizes over the past few decades). Because we are not aware of what’s in our food and how much of it we’re eating we are defenseless and will inevitably gain weight. For the most part we are out manned, out gunned, and out brained when it comes to understanding what makes up our food. Fortunately, the government has helped us out by requiring the food companies to put the nutrition facts on the labels. This has not deterred the food industry because they know that the only way you’ll stop buying their products in large quantities is if you actually read the nutrition facts which most people don’t do. The bottom line is that if you want to stay healthy and lose weight you have to be aware of what your putting in your body. We must remember that the companies that are making these foods are businesses. As such they are only concerned in making a profit, that’s the way a free market works. If they are able to convince us that their products are good for our well being, whether physical or emotional, we’ll buy more stuff and they’ll make more money. 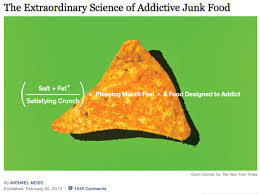 So, needless to say, they have invested billions of dollars and years of research and experience into massaging our subconscious into craving what their selling. It can not be underestimated how powerful advertising is in controlling our behavior. These companies are not stupid or foolish. They wouldn’t spend such outlandish sums on marketing if it didn’t work. And it does work. If you’re watching commercials of any kind you are affected whether you like it or not. Fortunately for us adults, we can overcome this manipulation by educating ourselves and paying attention (for more on their tricks check out my prior post How They Manipulate You). This is not the case for our children who are being targeted in remarkably seditious ways. Our kids don’t know real from fiction and are exceedingly impressionable – especially when it comes to flashy commercials with great music and kids just like them having a great time. I can’t begin to go into the endless details as to how our kids are being constantly brainwashed. You’ll have to read Moss’ book to get all the details but one thing I learned really stood out to me. It turns out that two of the largest food companies, Kraft and Nabisco, were purchased by two of the largest tobacco companies, RJ Reynolds and Philip Morris. These two tobacco giants have channeled decades of marketing experience and databases in manipulating and out-and-out lying to the public in efforts to get our kids hooked on a their products. Trust me, their efforts with food are just as scary as their efforts were with cigarettes. 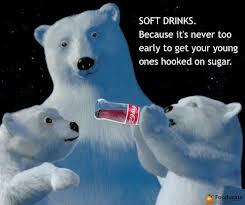 The next time you see your kids watching commercials for food, know who’s behind the advertisements. Also know that the health hazards of eating poorly rival the health hazards of smoking. You wouldn’t want your kids watching commercials for Marlboro, why would you want them watching commercials for Pop Tarts? You and I are seriously out-matched when it comes to making smart food choices. Its little old, unarmed, uneducated us against a huge army of trained and well armed soldiers and scientists who have only one goal – to get us to eat more. They don’t care how much we weigh or how healthy we are – nor should we expect them to. If we want the benefits of living in a free capitalist society we have to take some of the drawbacks as well. Guilting or regulating the food industry into giving us healthy food is unlikely to be effective. The only way to win the battle is to fight fire with fire. If you are aware of what you eat and what’s in your food and only buy healthy and sensible items for yourself and especially for your kids, they will put all their marketing and research efforts into developing great tasting and healthy foods. The only chance you have is to educate yourself. That’s what the counter revolution is all about. This is a very interesting article. It is very scary to think that companies and scientists are manipulating products to make them more enticing and super unhealthy. No wonder so many people are addicted and sick from processed food.